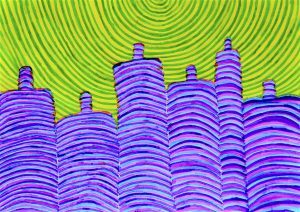 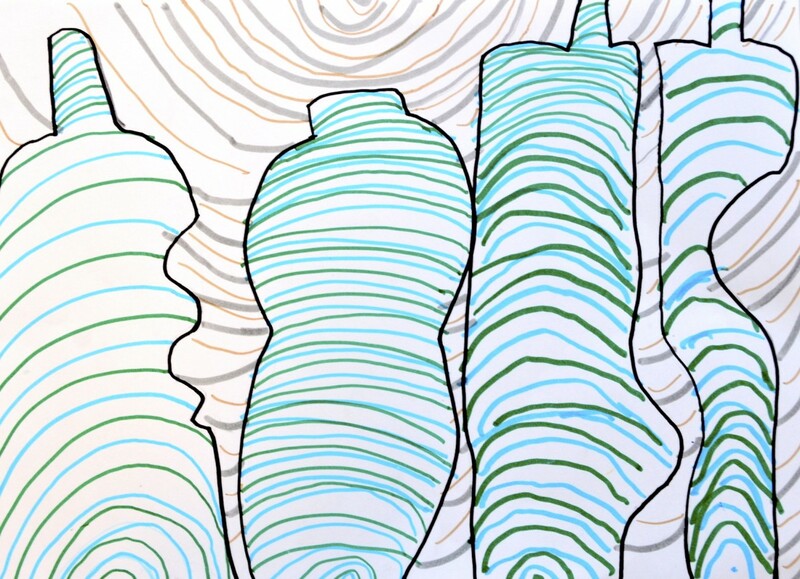 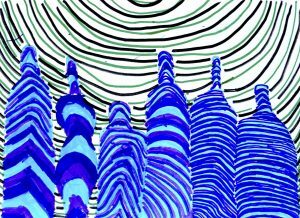 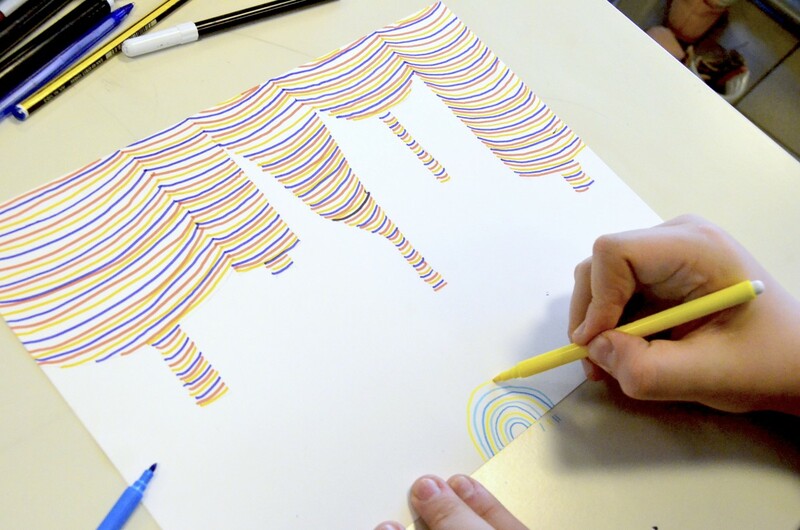 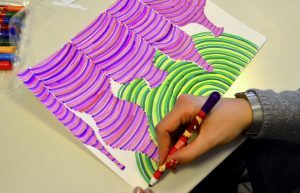 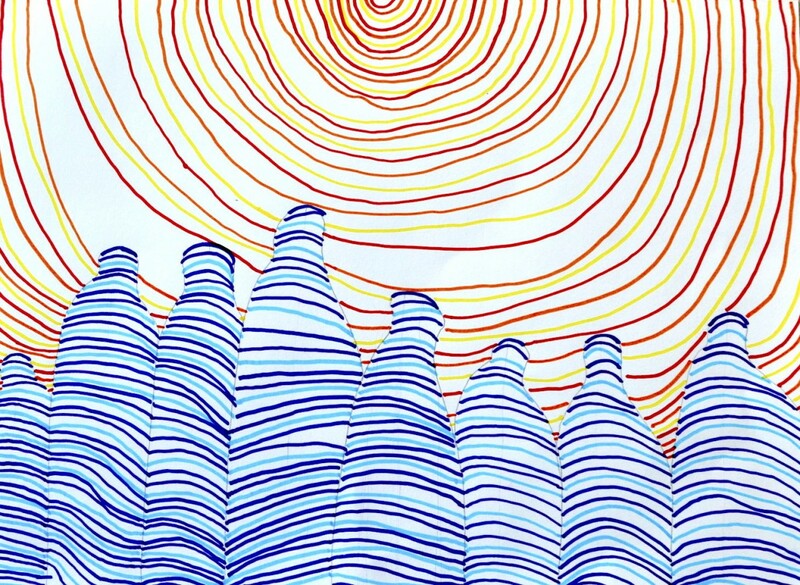 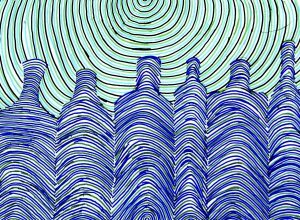 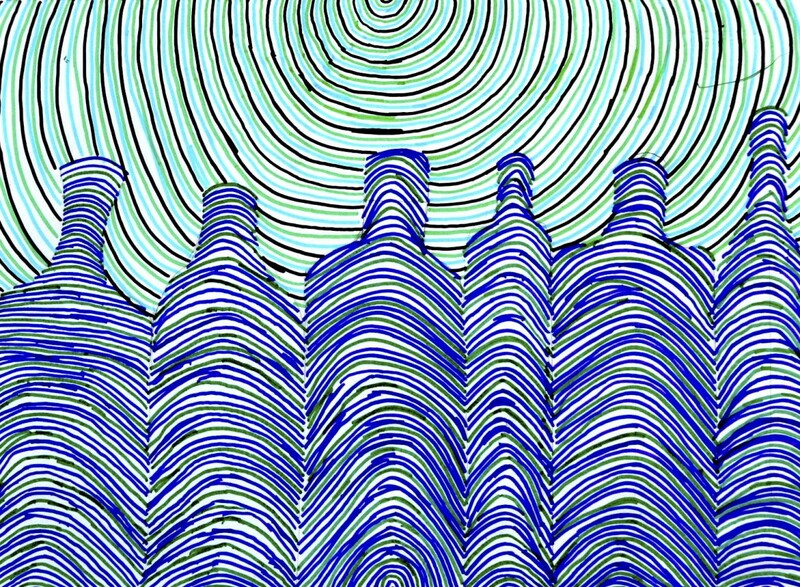 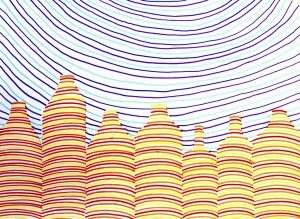 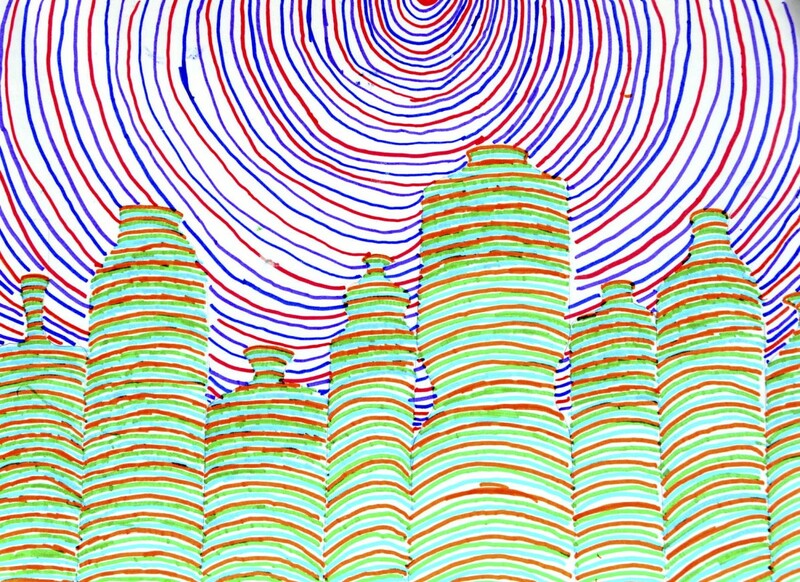 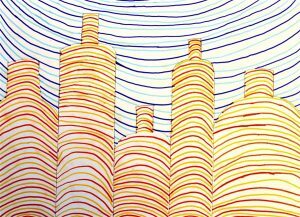 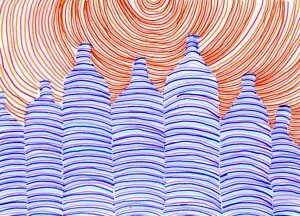 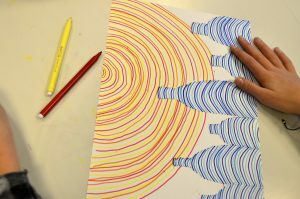 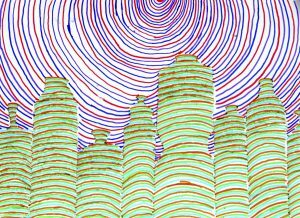 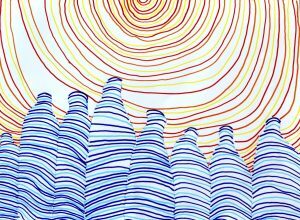 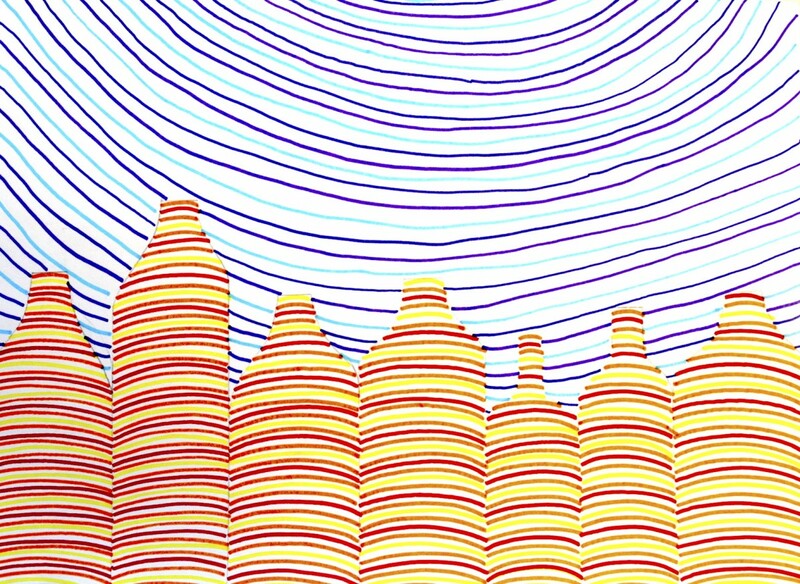 With this drawing you can create a three-dimensional visual effect just with parallel lines. 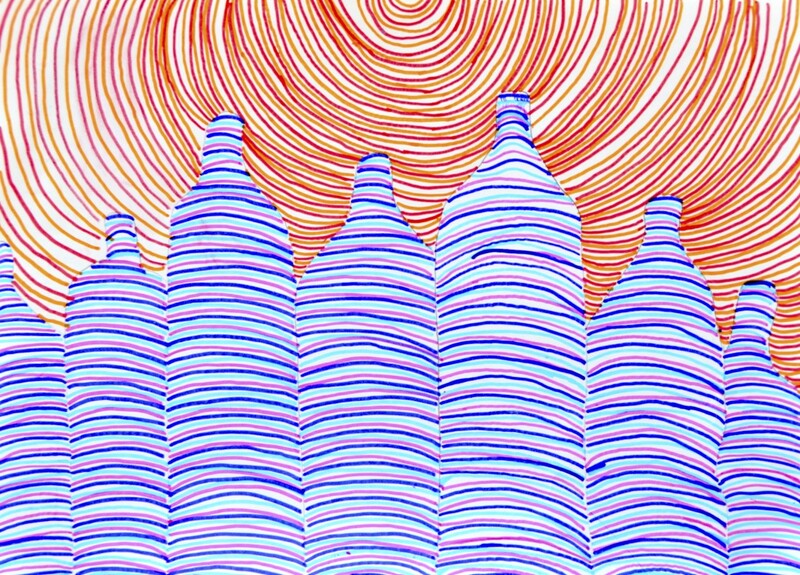 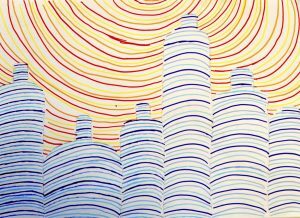 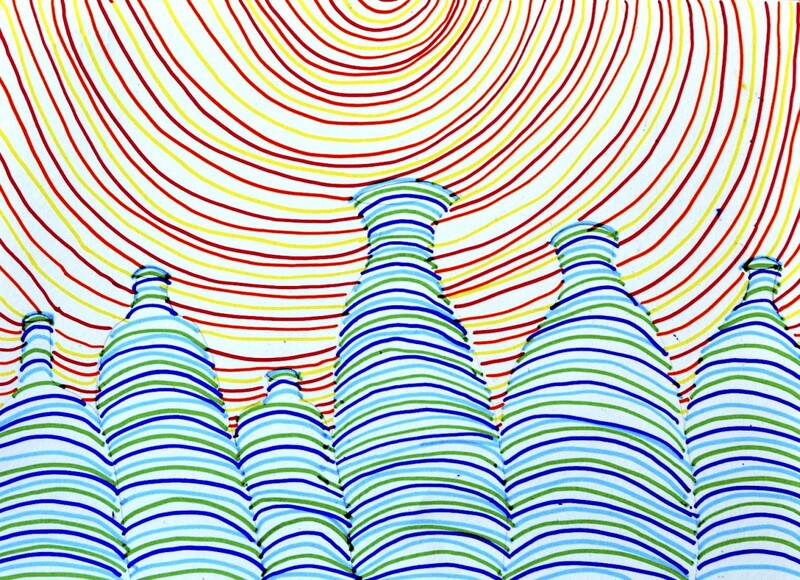 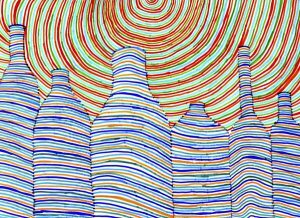 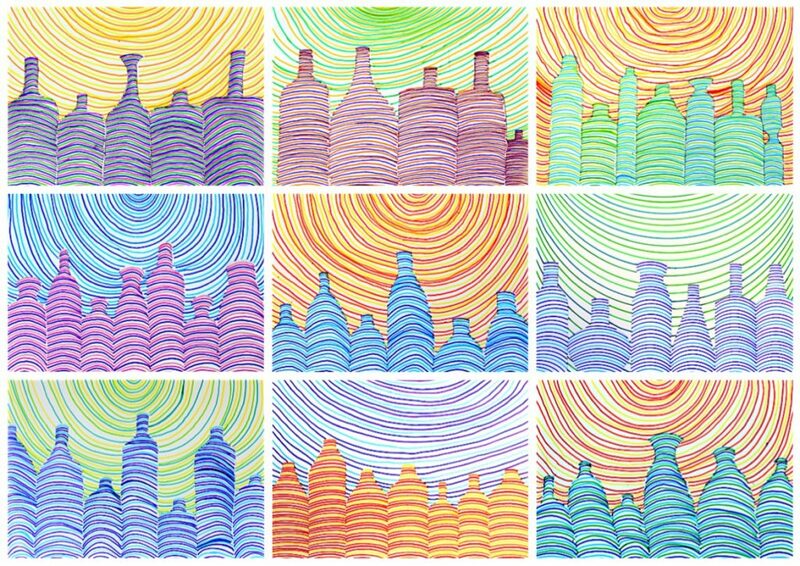 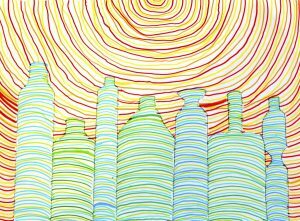 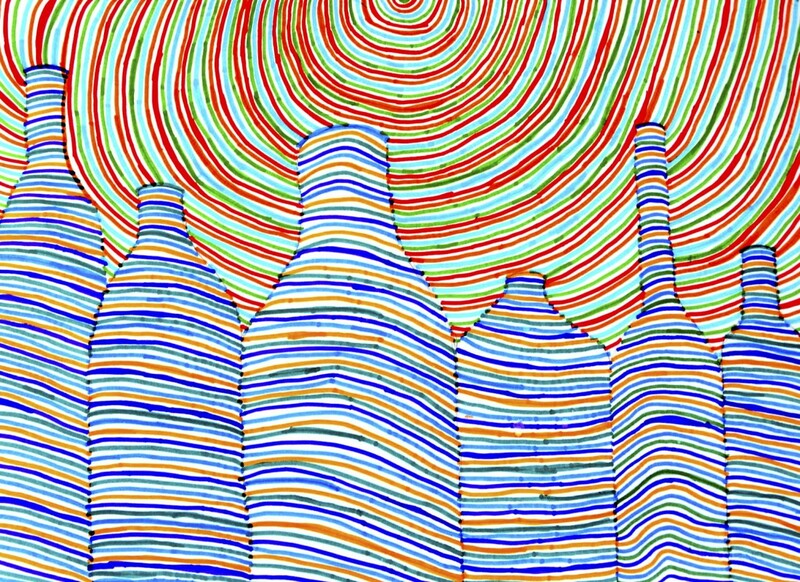 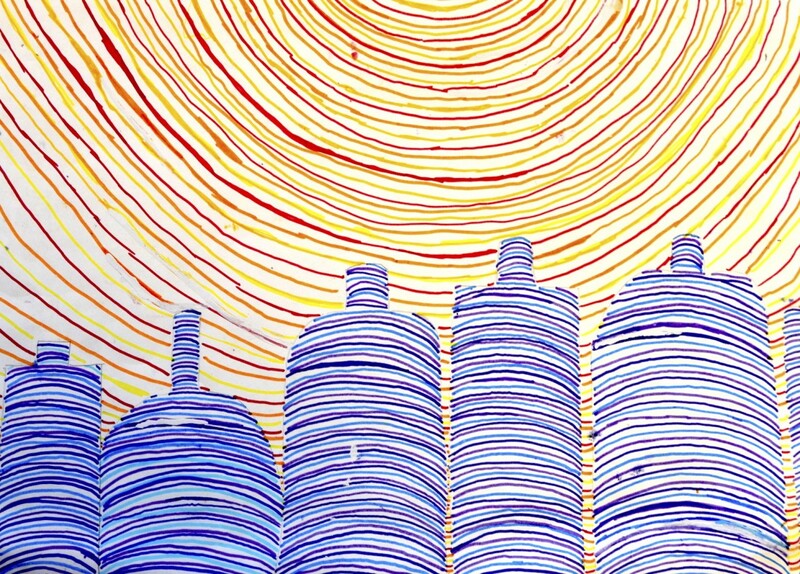 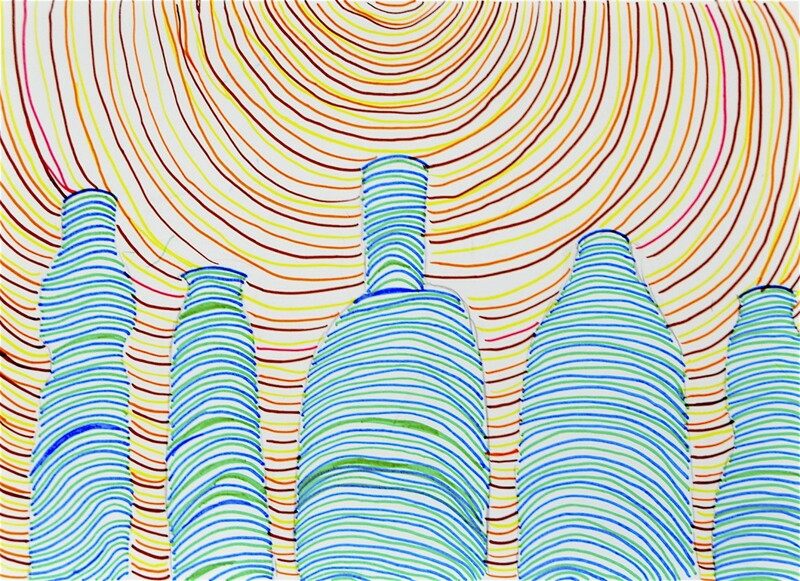 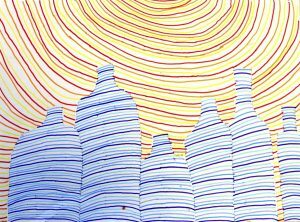 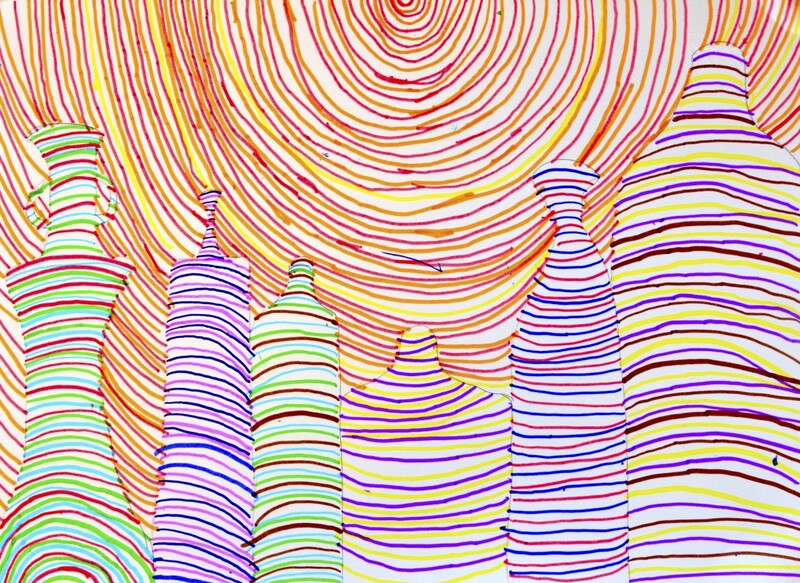 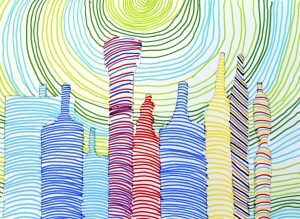 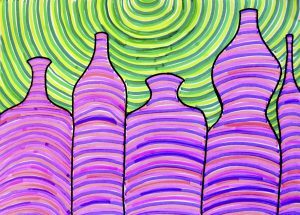 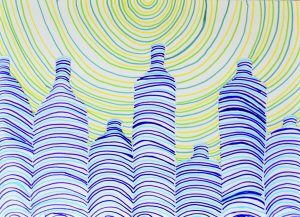 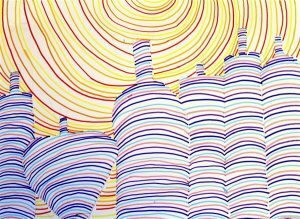 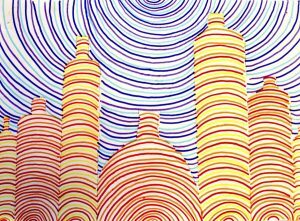 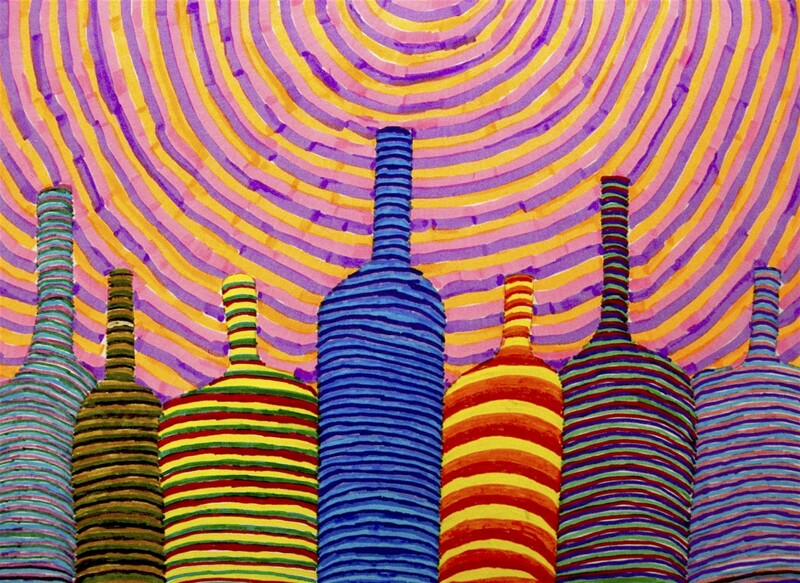 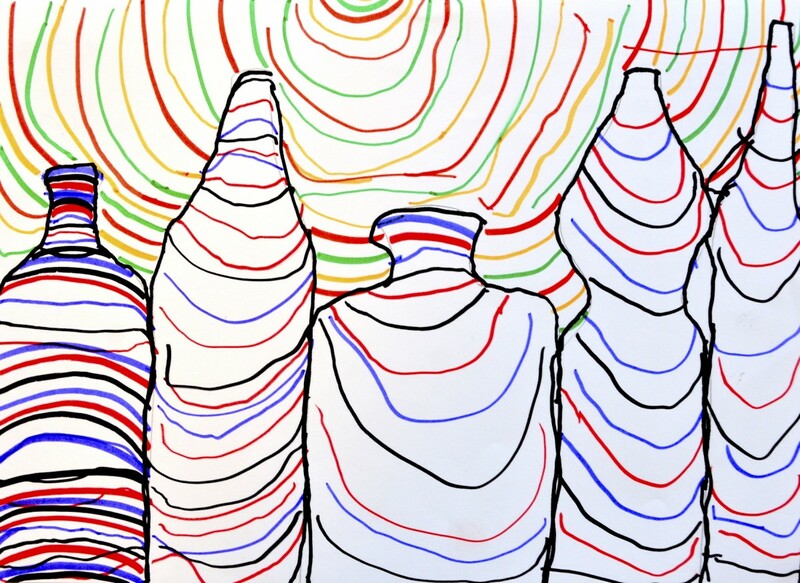 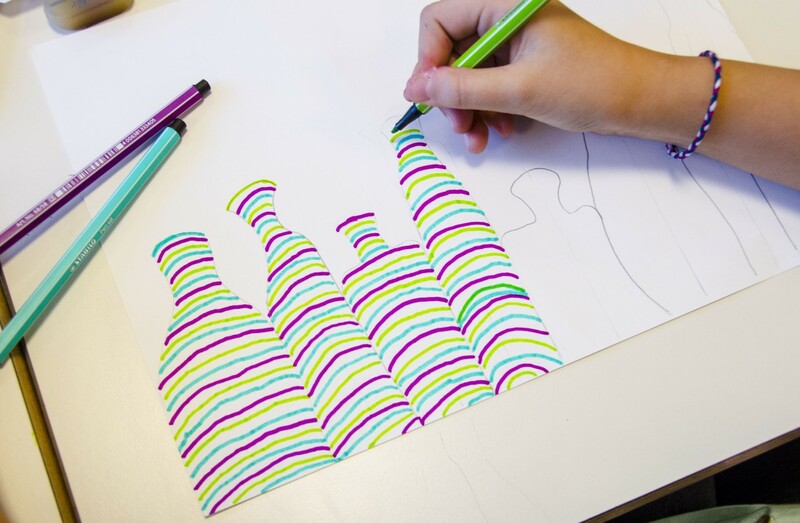 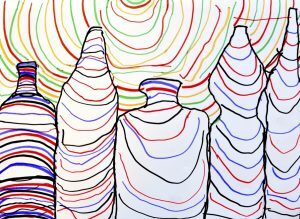 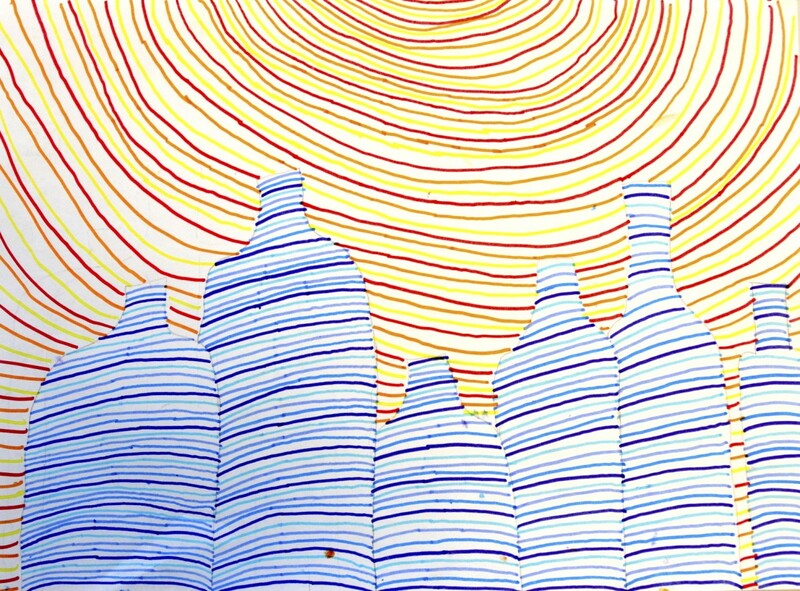 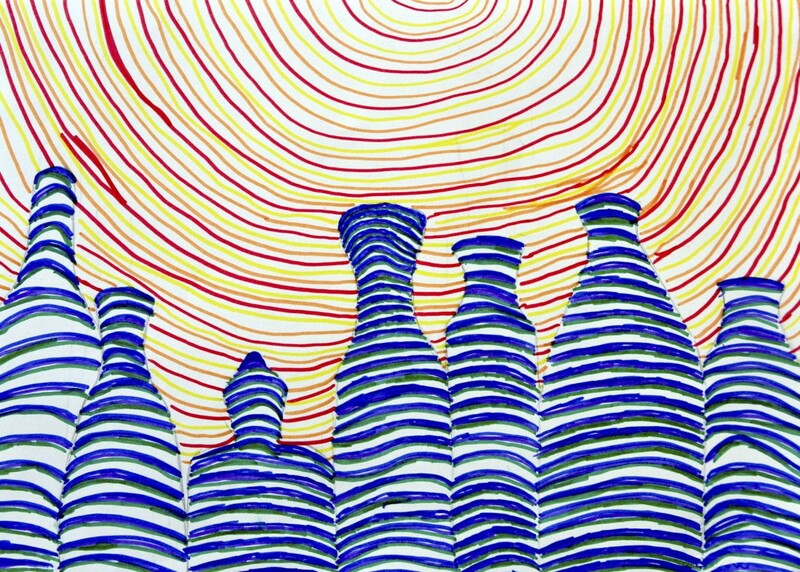 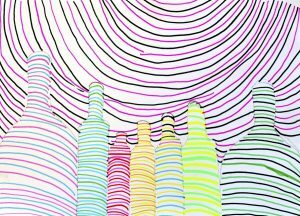 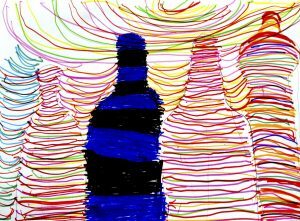 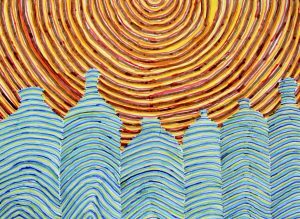 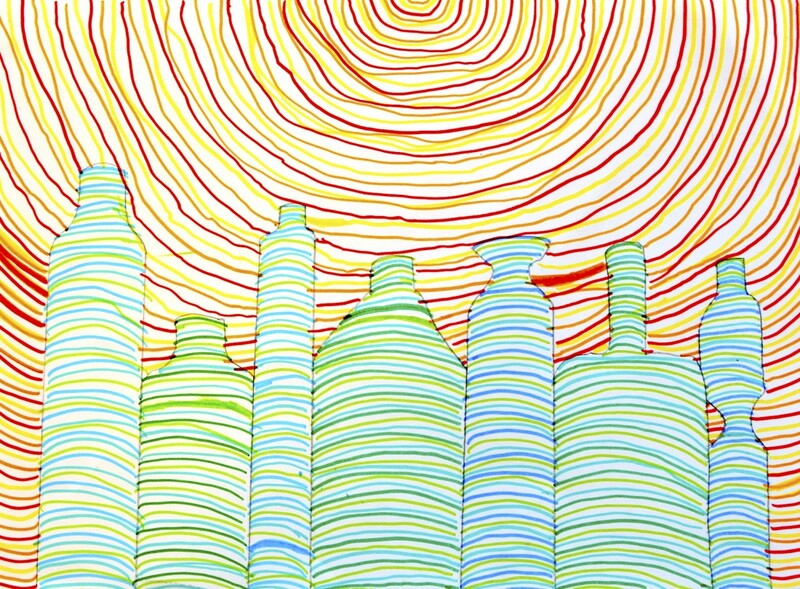 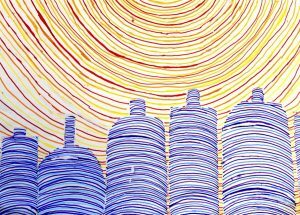 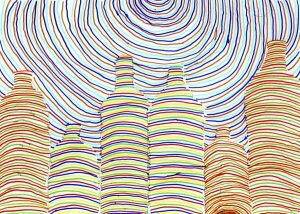 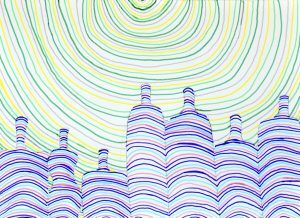 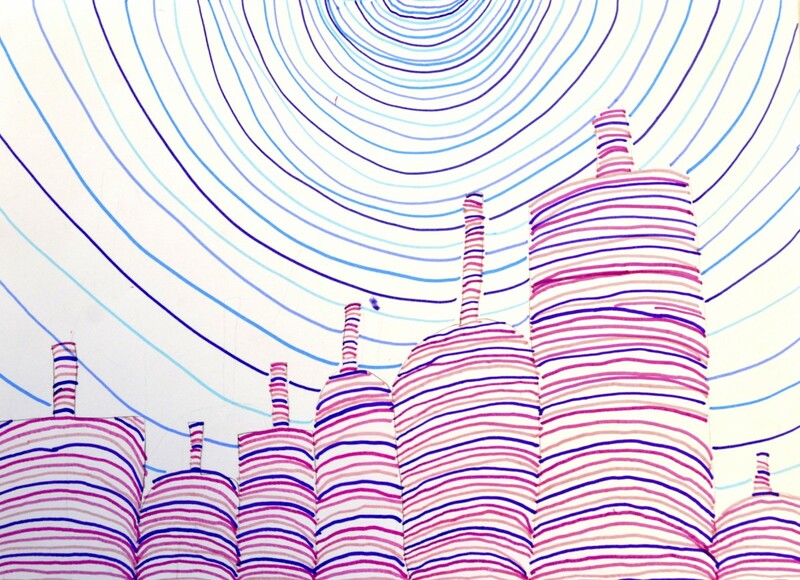 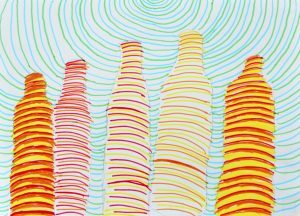 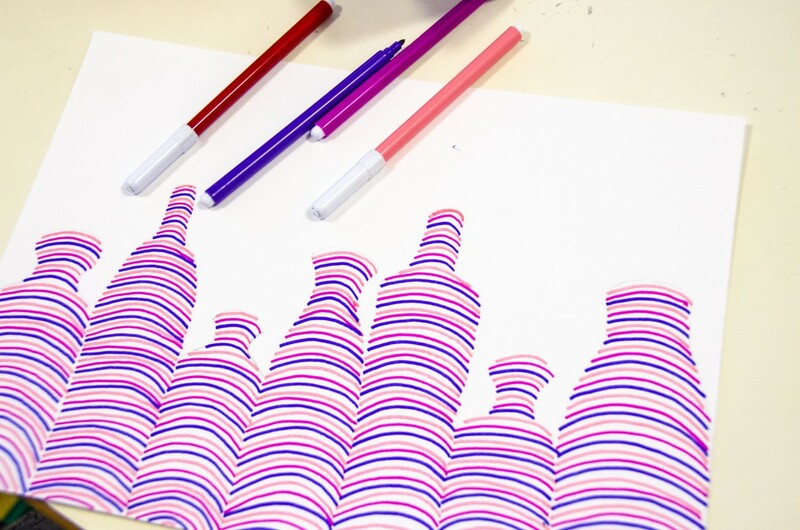 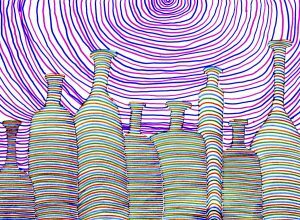 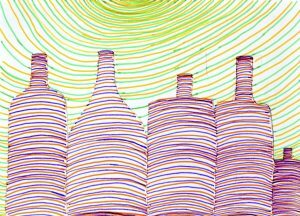 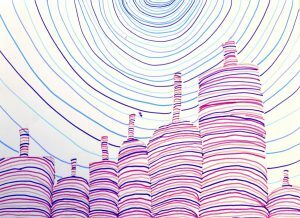 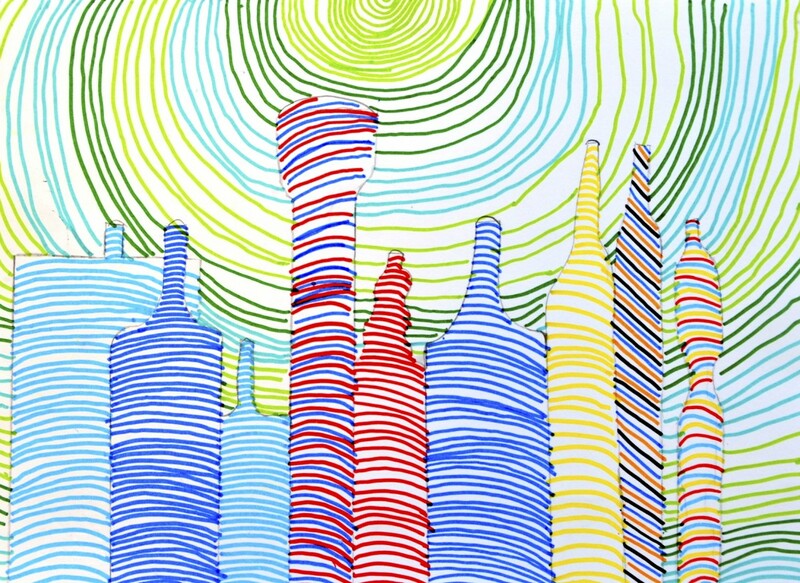 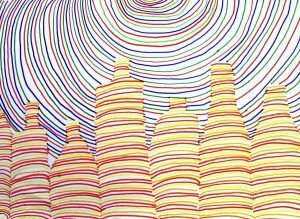 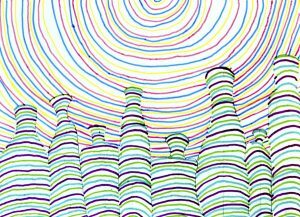 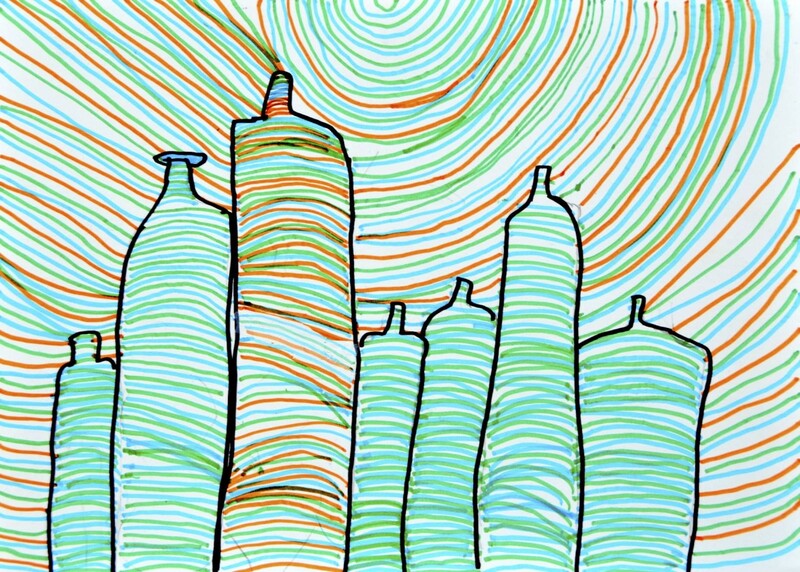 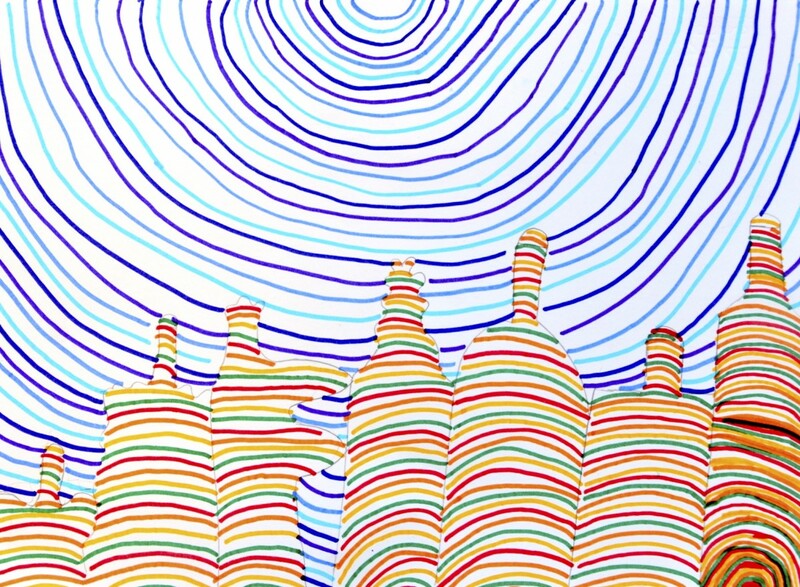 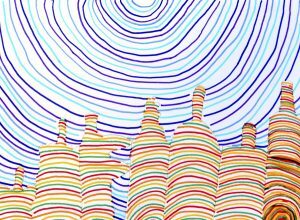 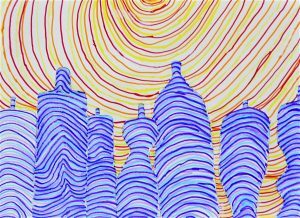 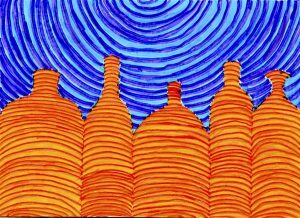 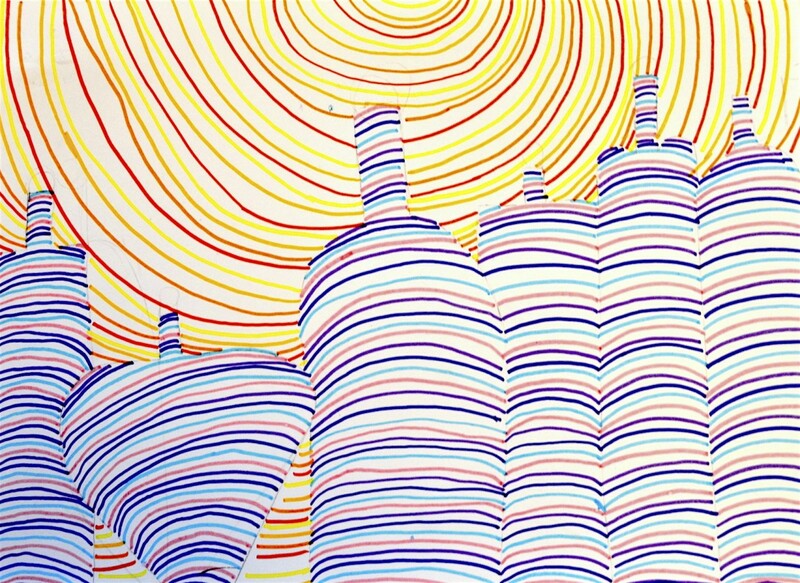 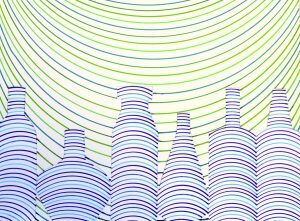 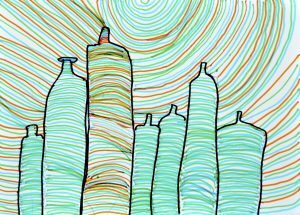 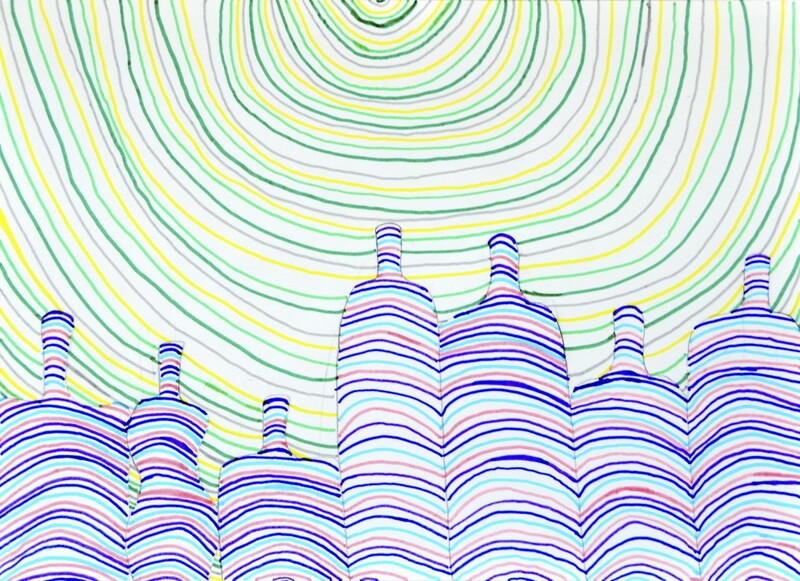 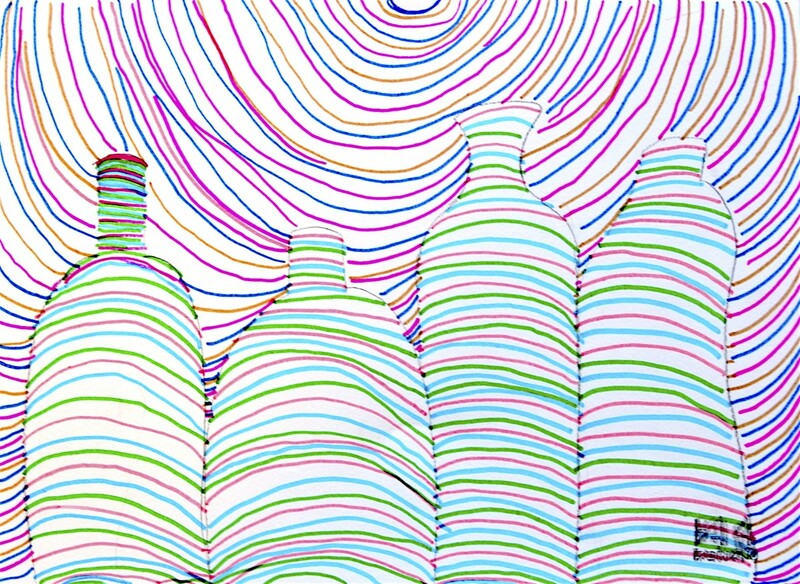 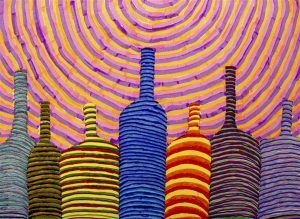 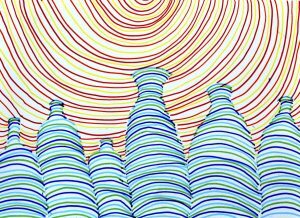 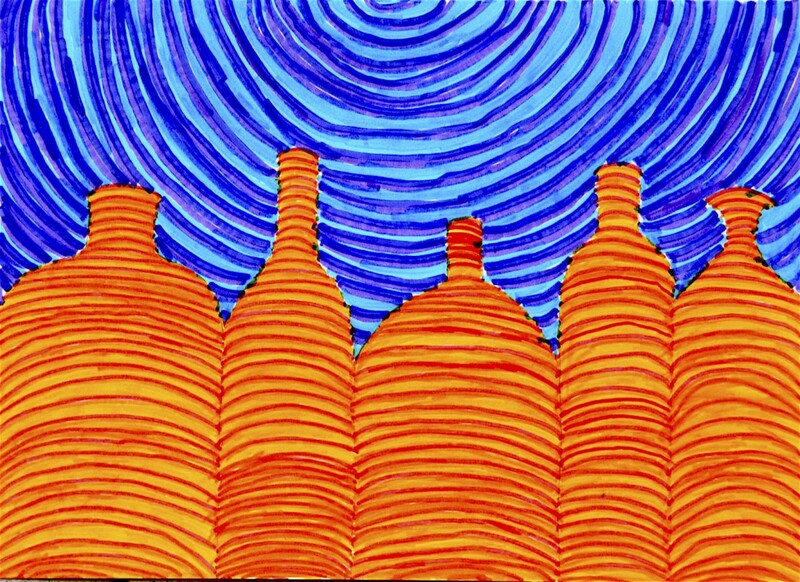 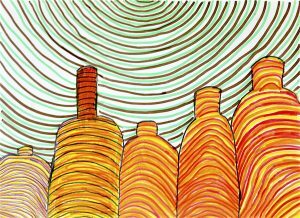 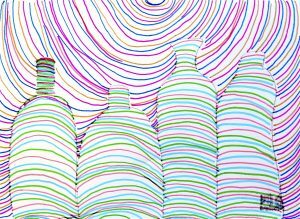 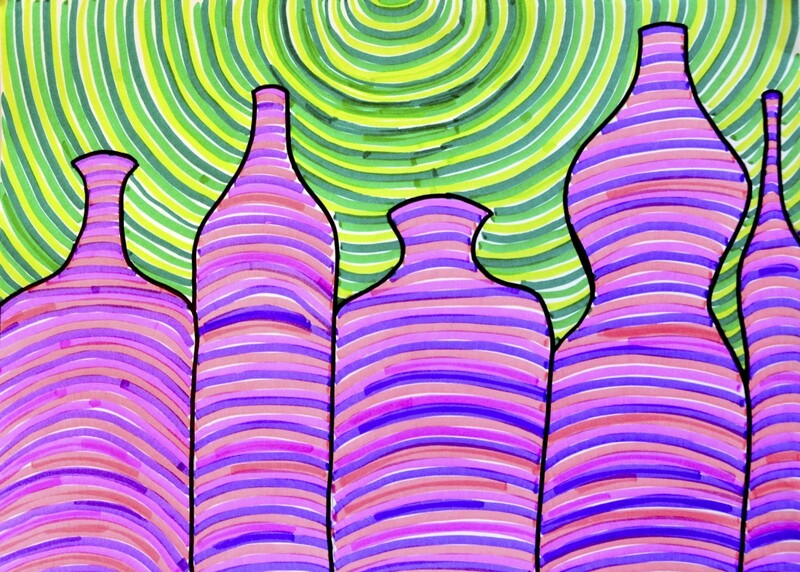 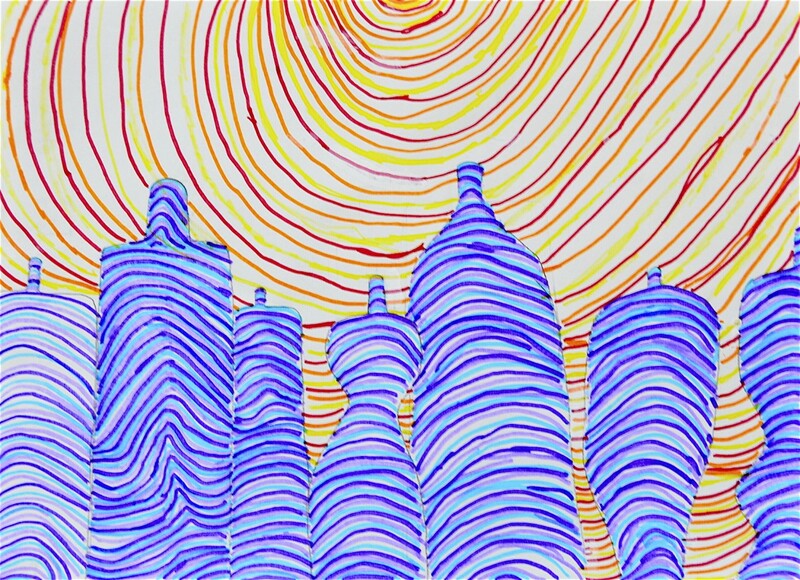 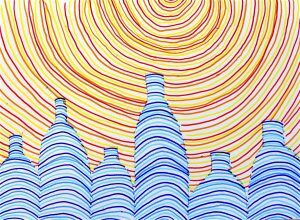 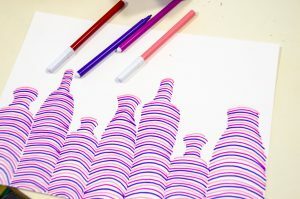 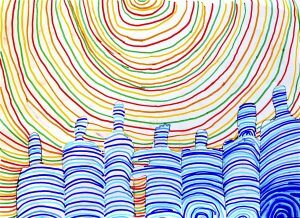 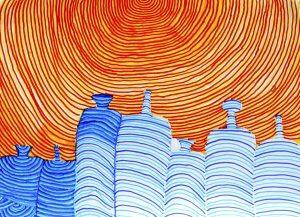 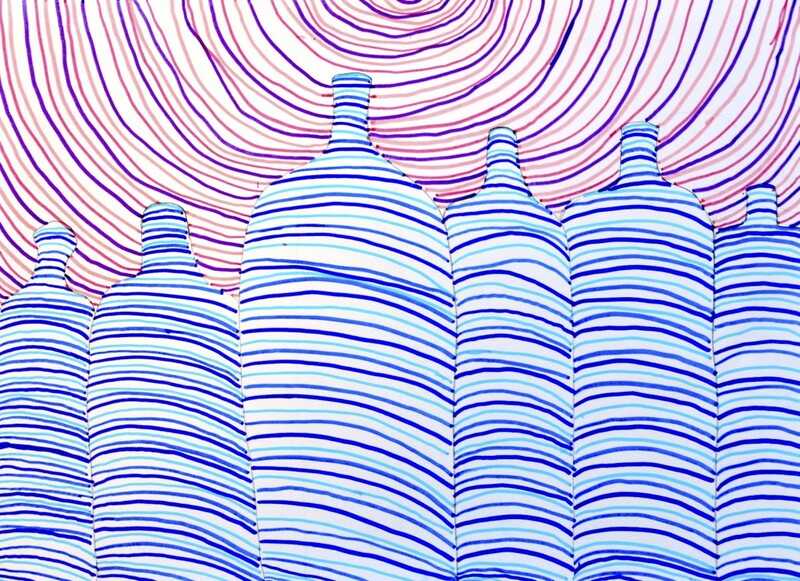 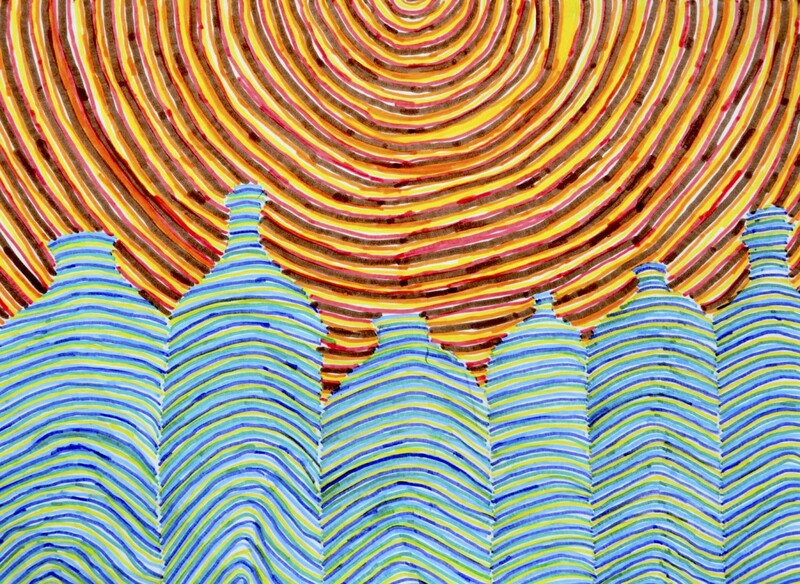 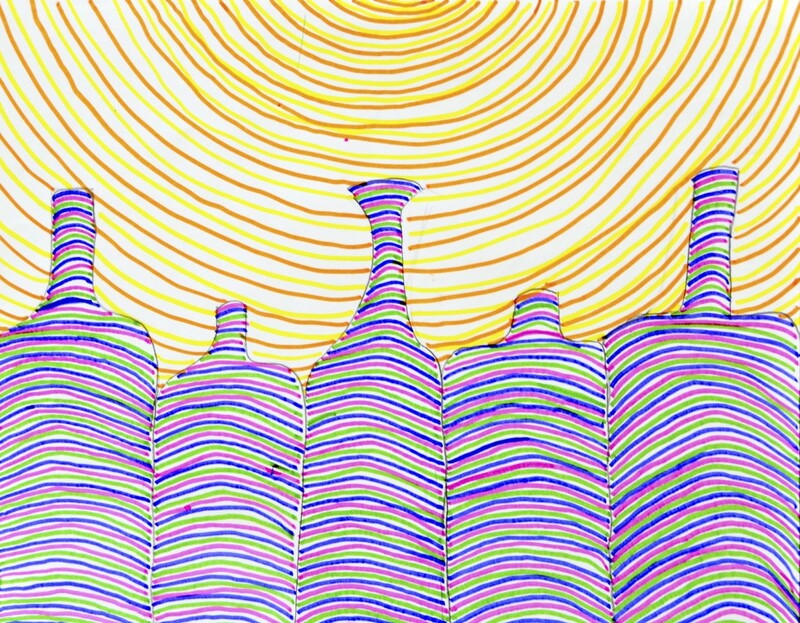 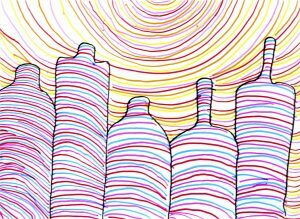 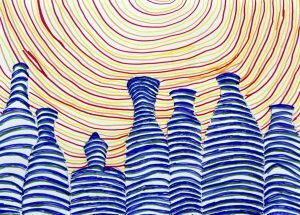 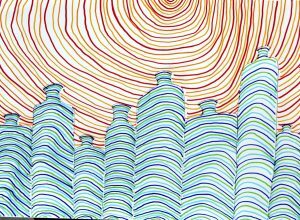 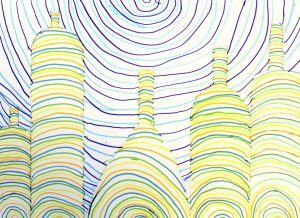 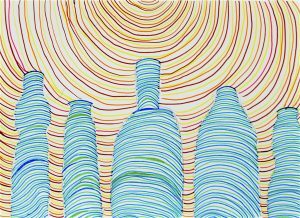 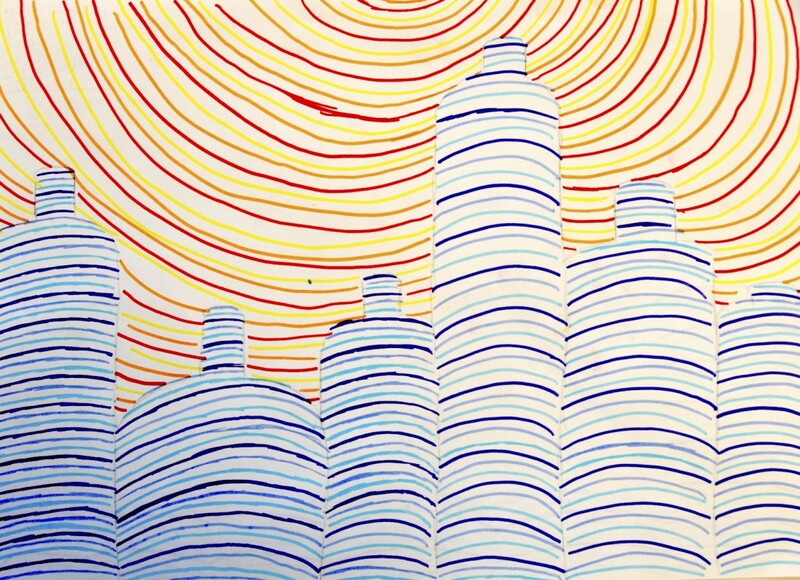 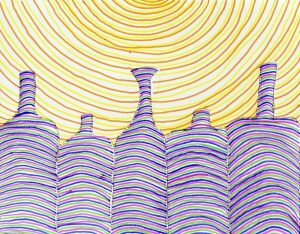 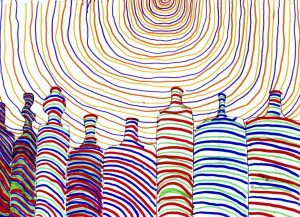 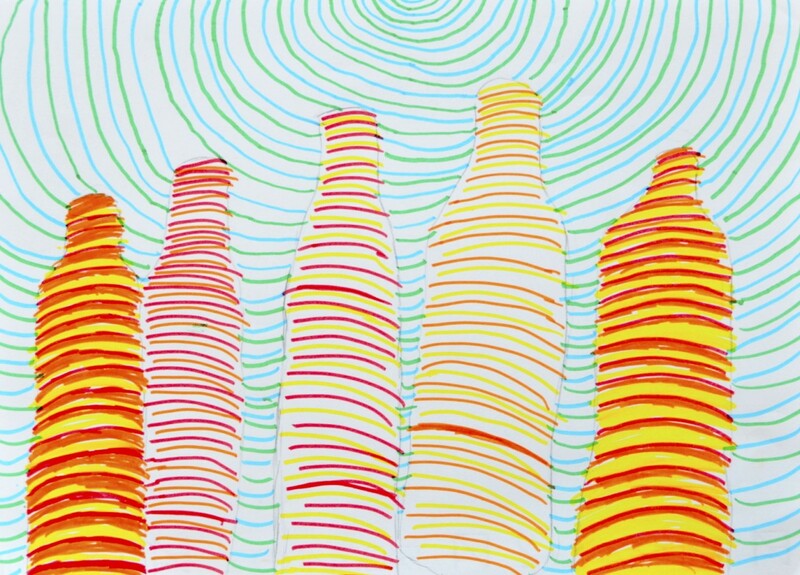 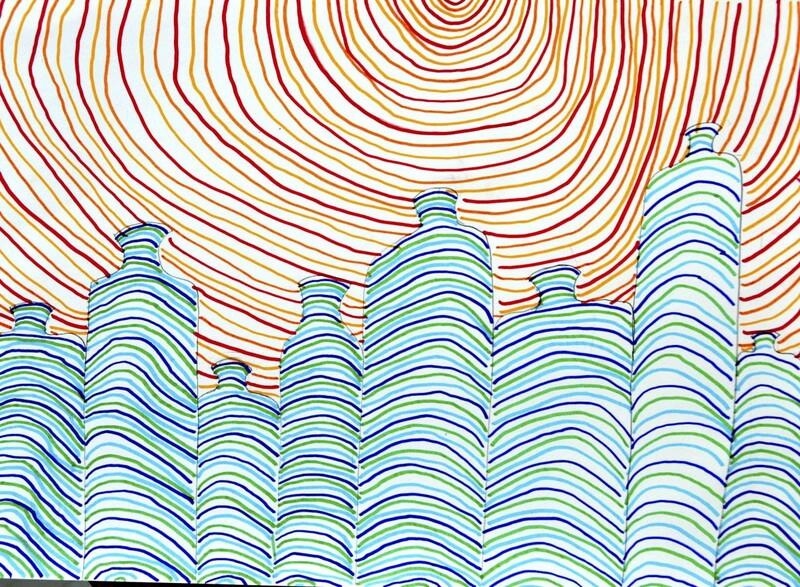 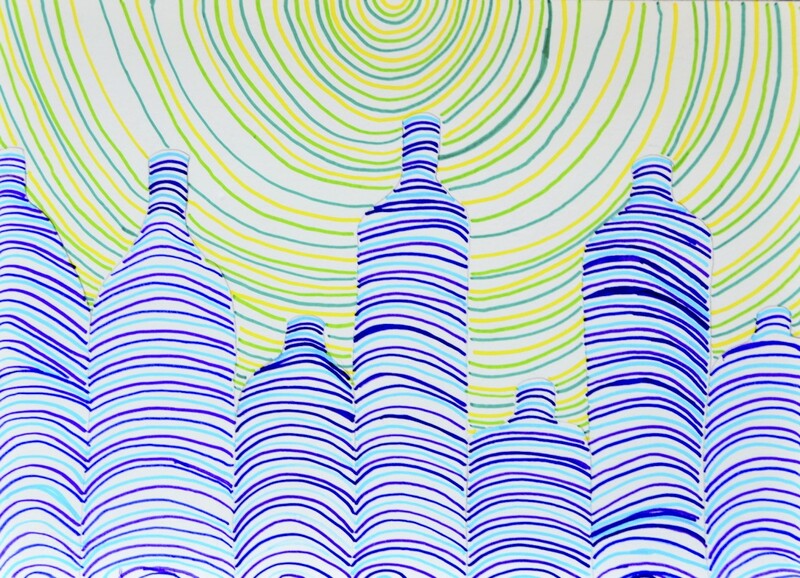 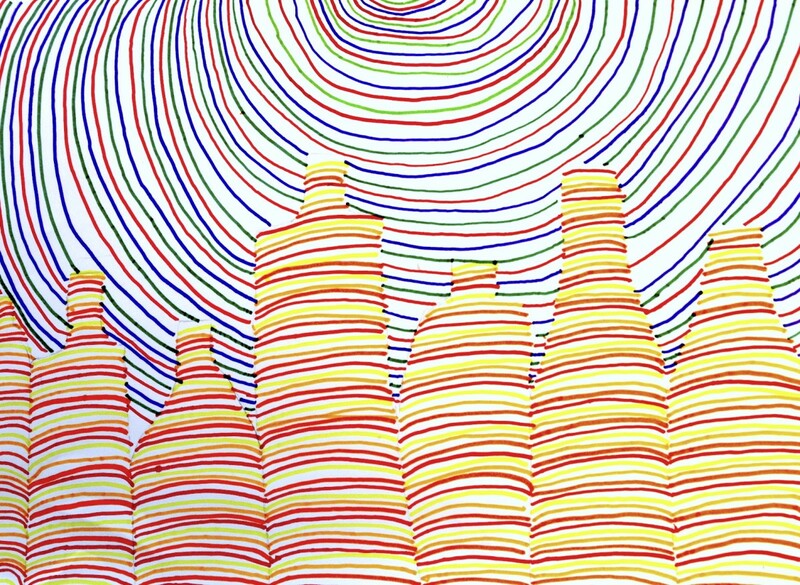 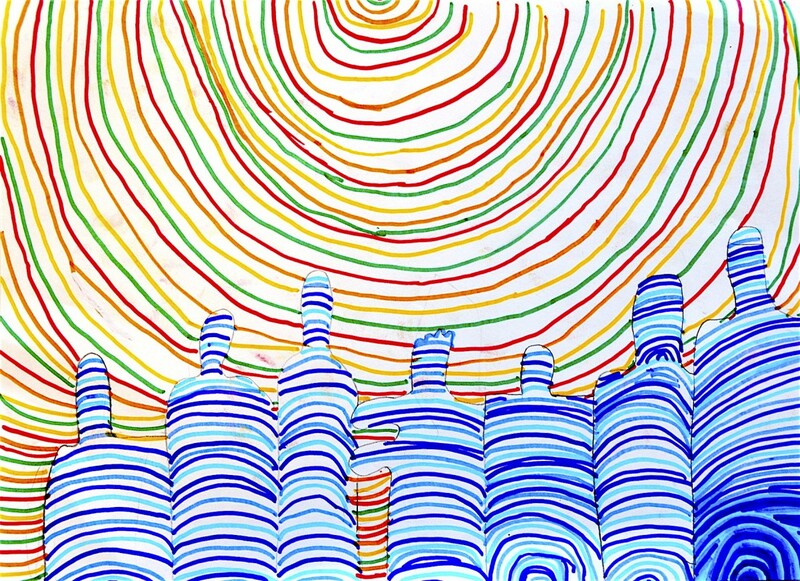 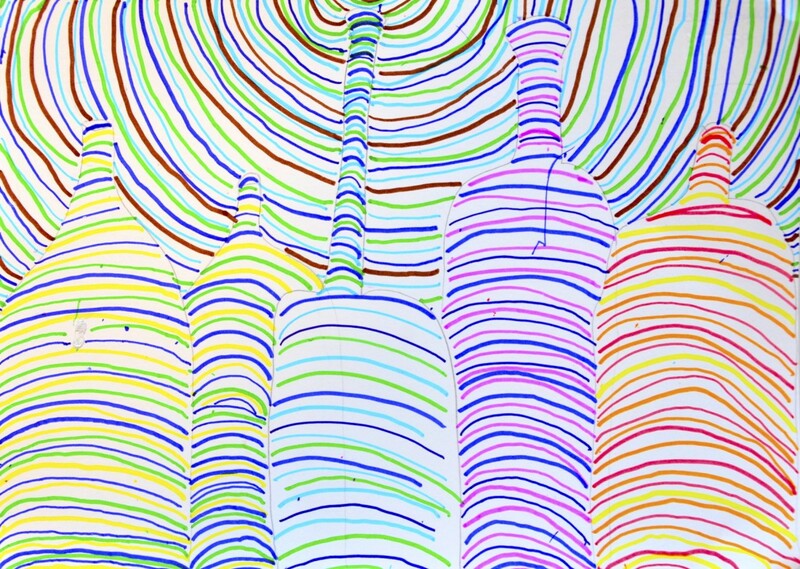 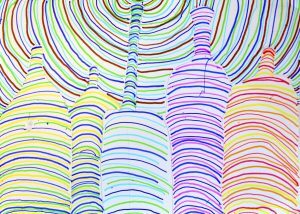 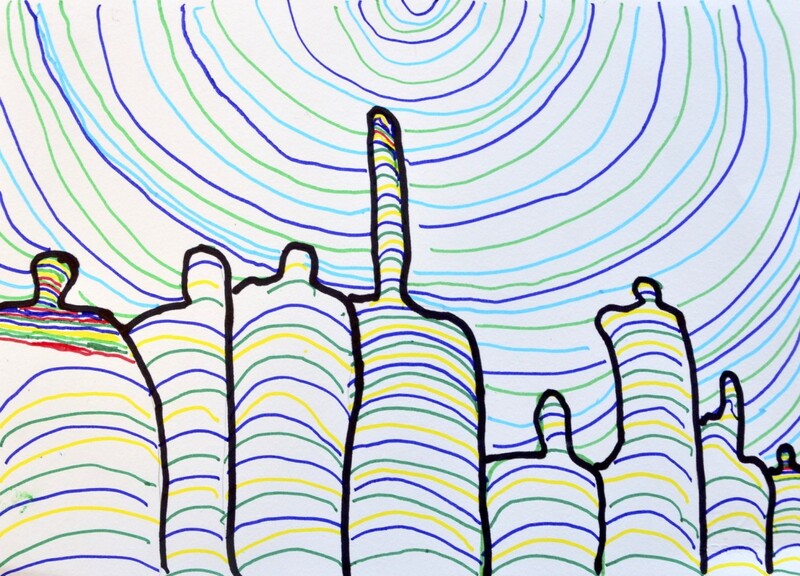 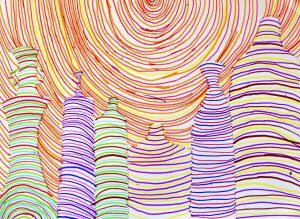 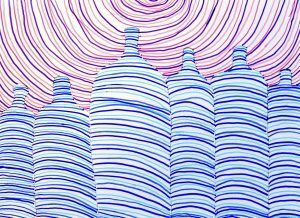 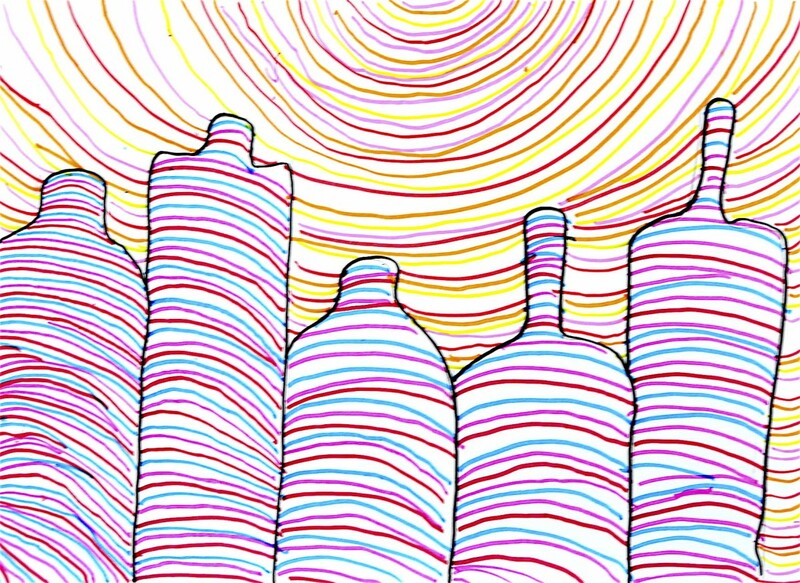 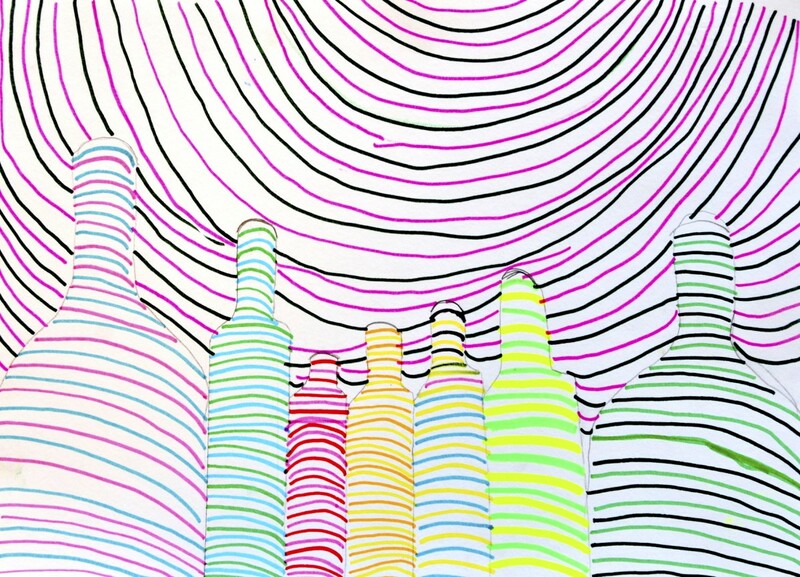 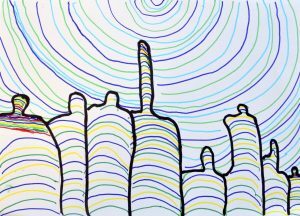 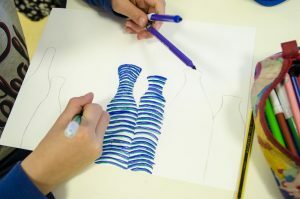 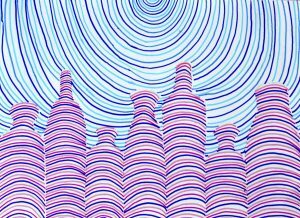 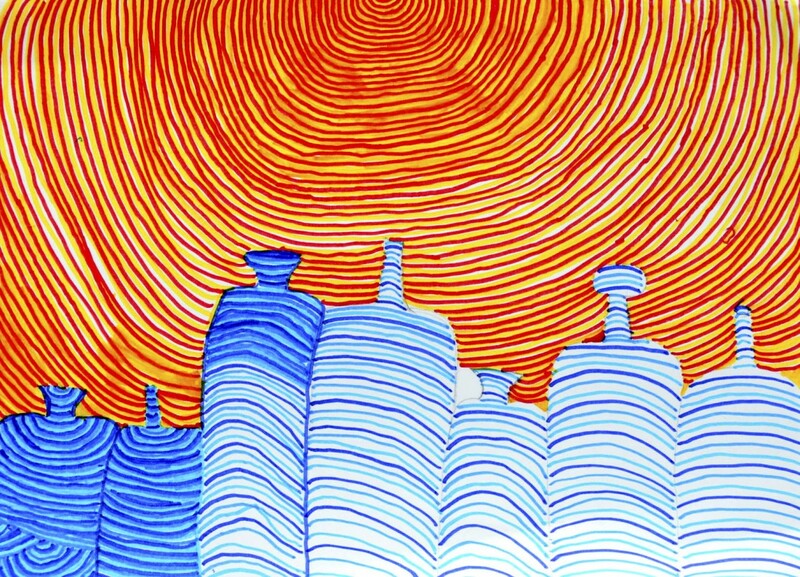 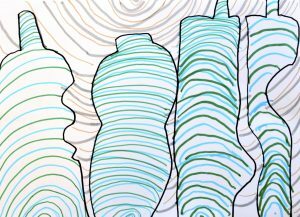 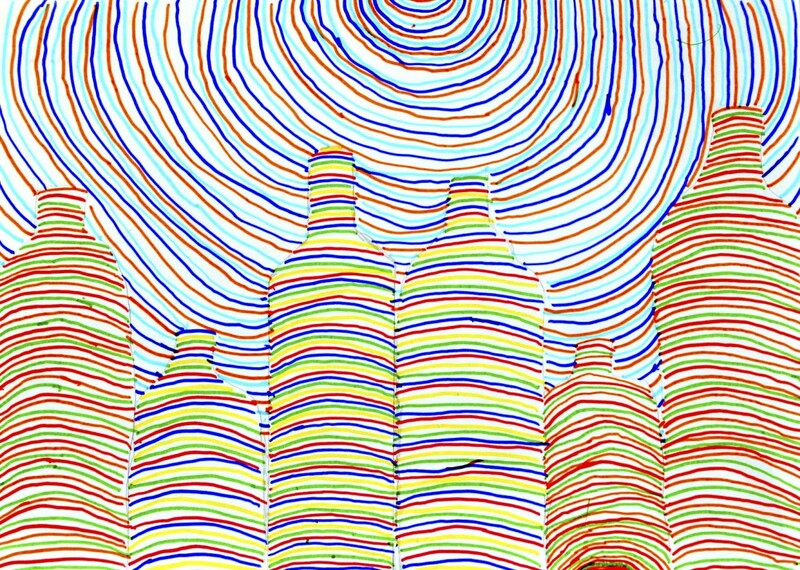 Students of Grade 6th have drawn these bottles with felt-tip pens, choosing a sequence of three or four colours and repeating it to complete the bottle. 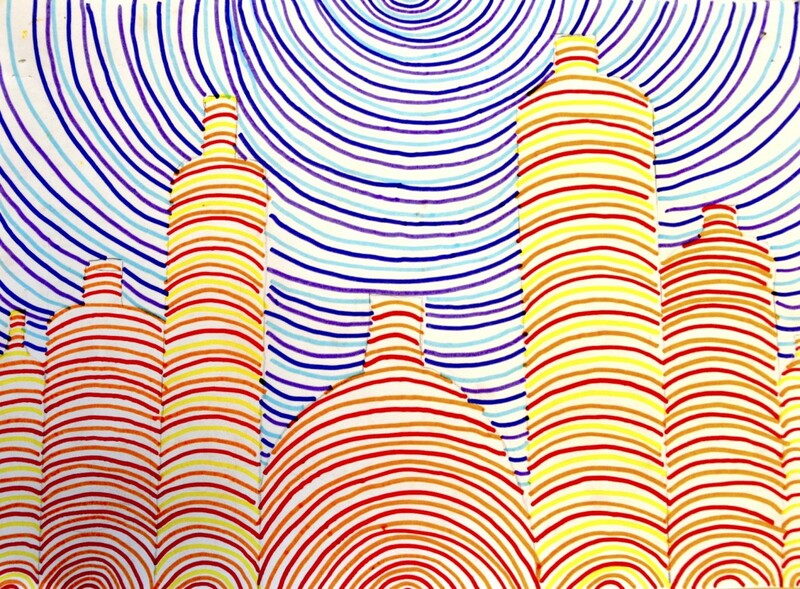 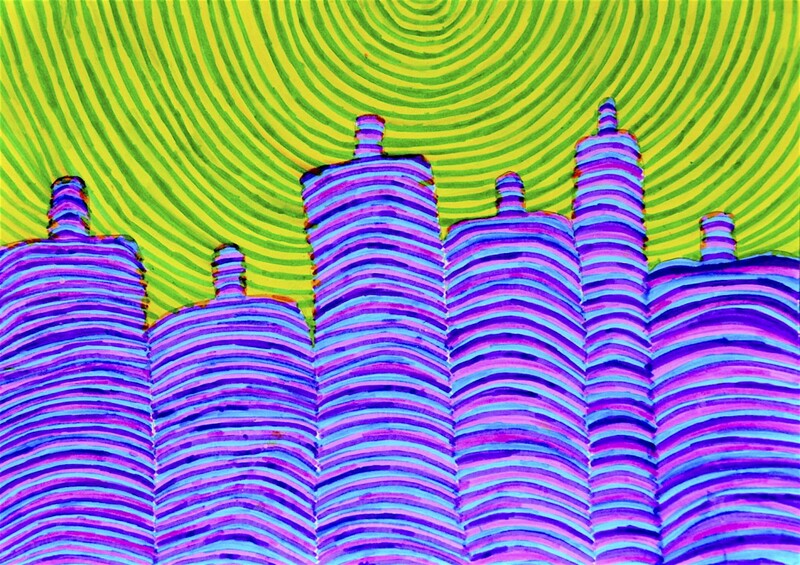 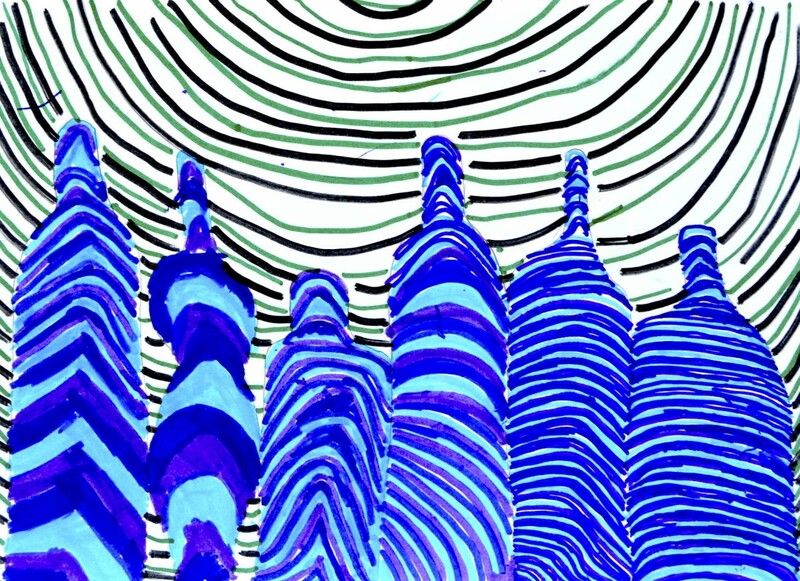 The background has been drew with the same technique but with different colours. 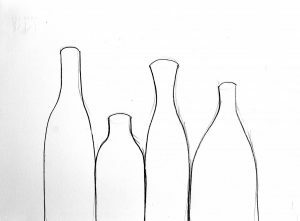 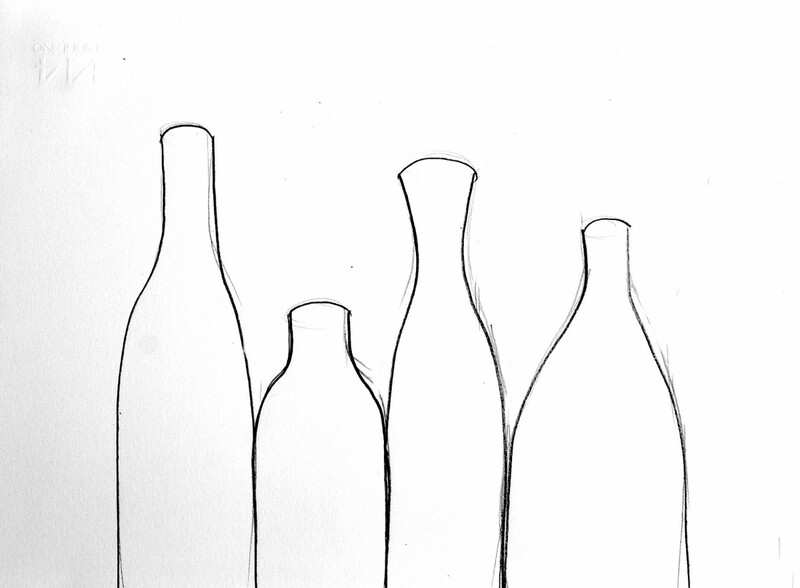 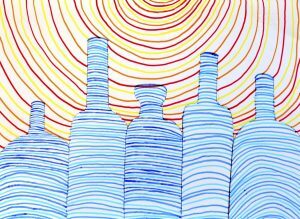 We start drawing five or six bottles with a pencil on a drawing paper; the bottles have to be quite large in order to fill half of the space on the drawing sheet. 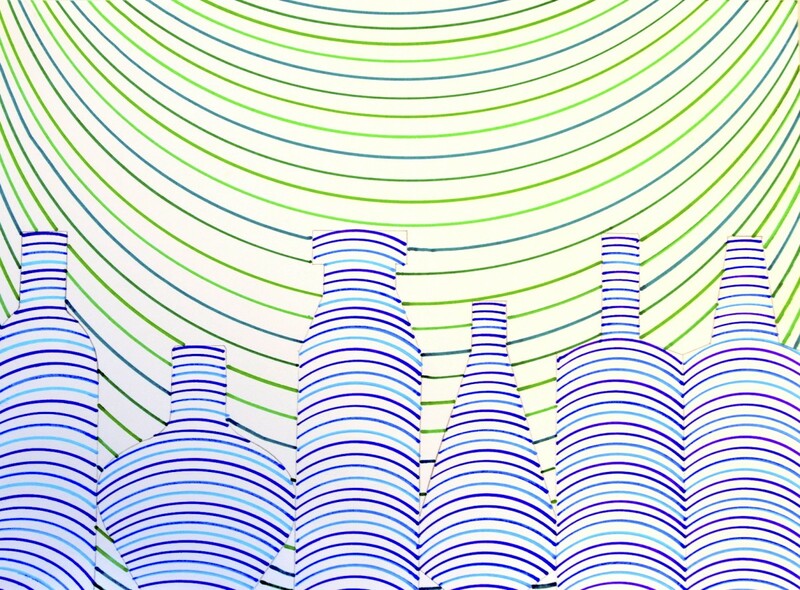 The neck of the bottle at he top must be slightly curved outwards, to give the illusion of volume. 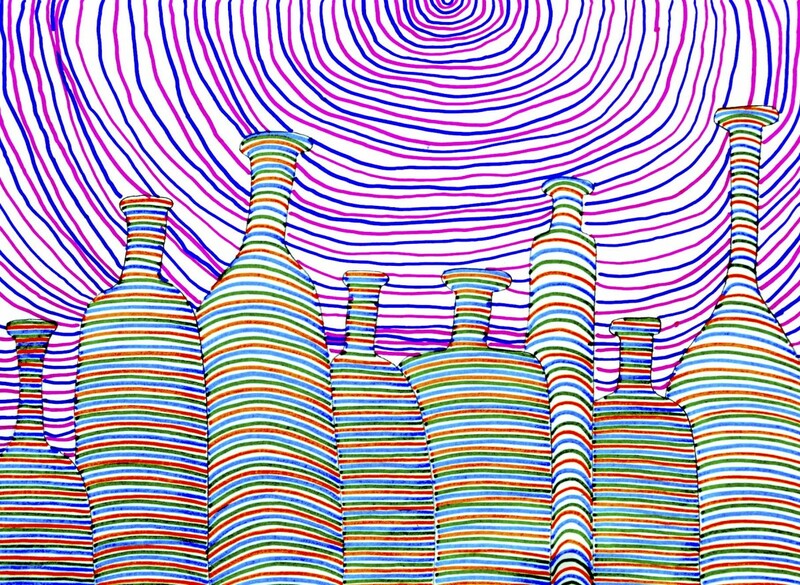 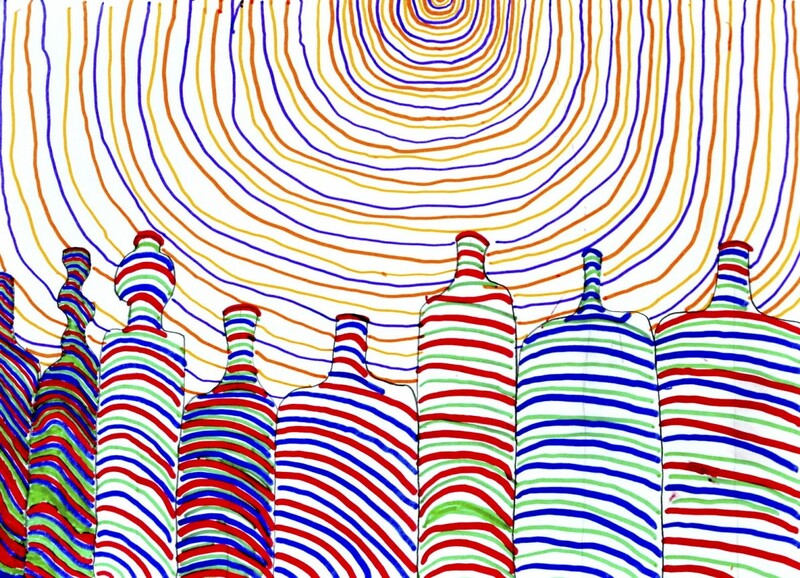 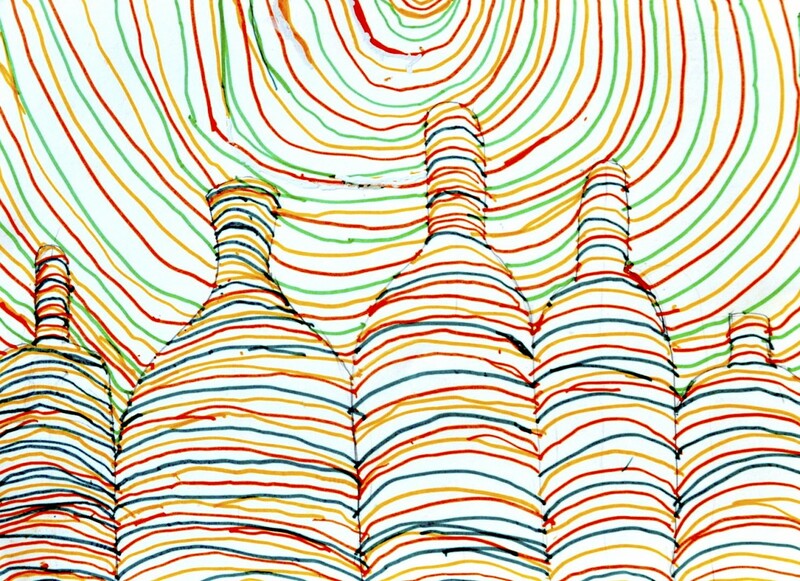 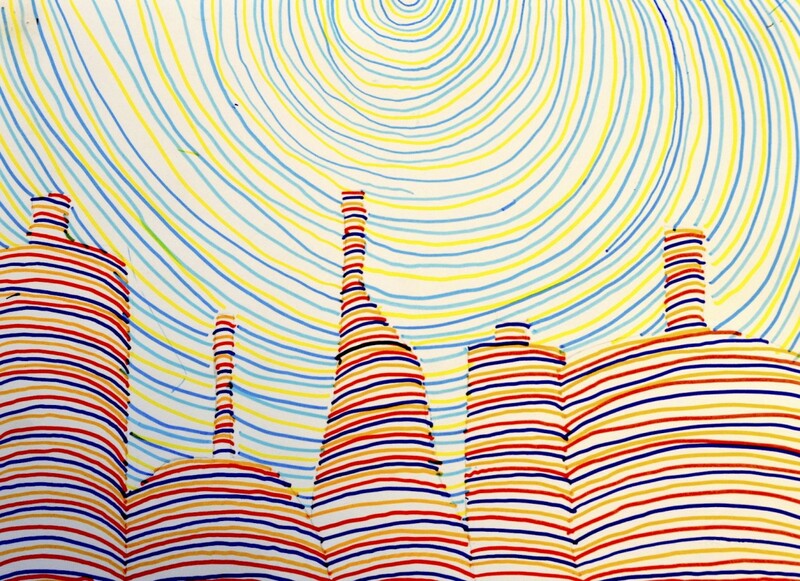 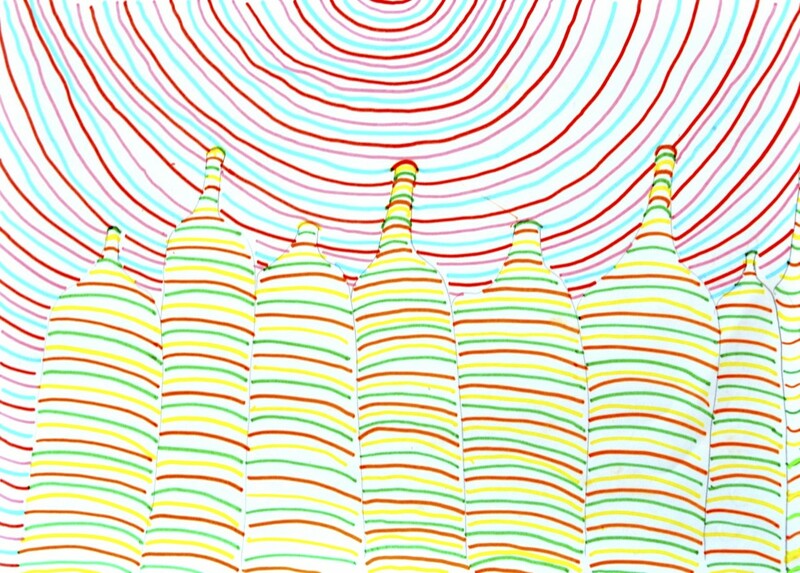 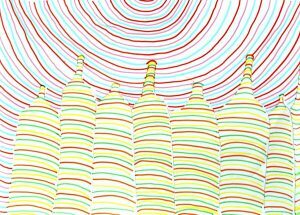 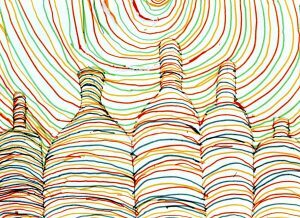 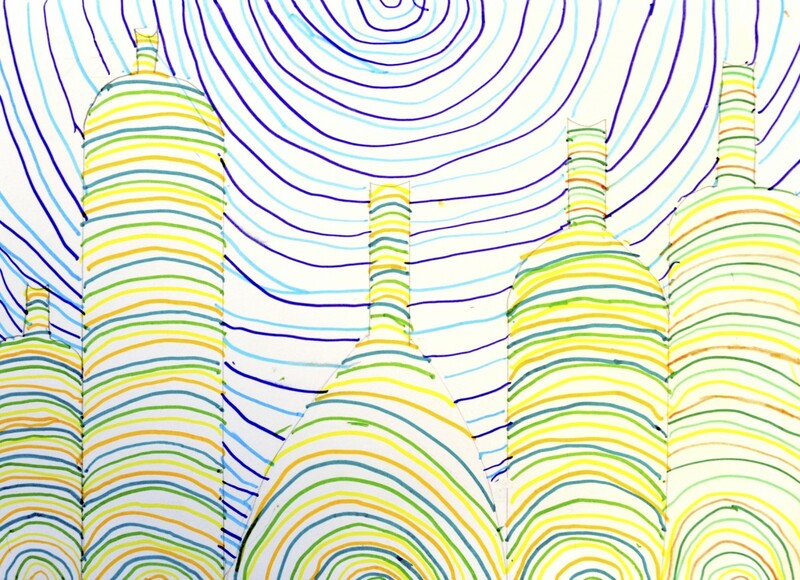 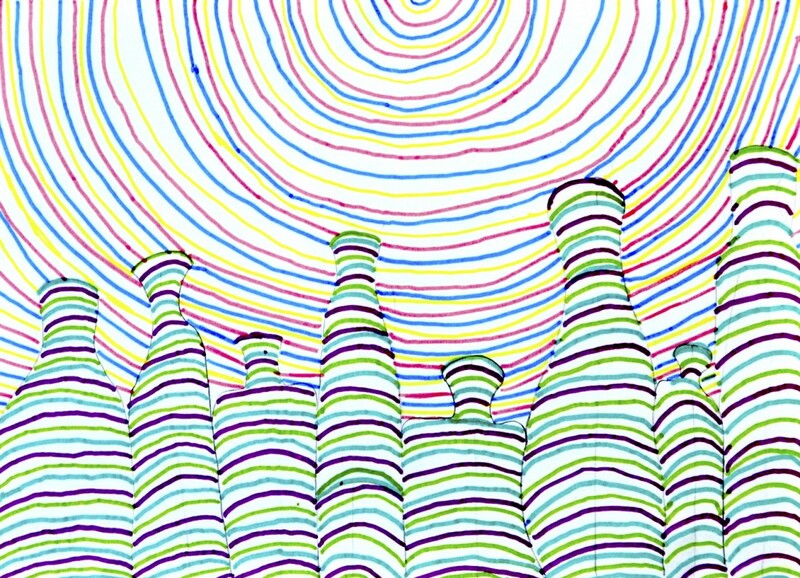 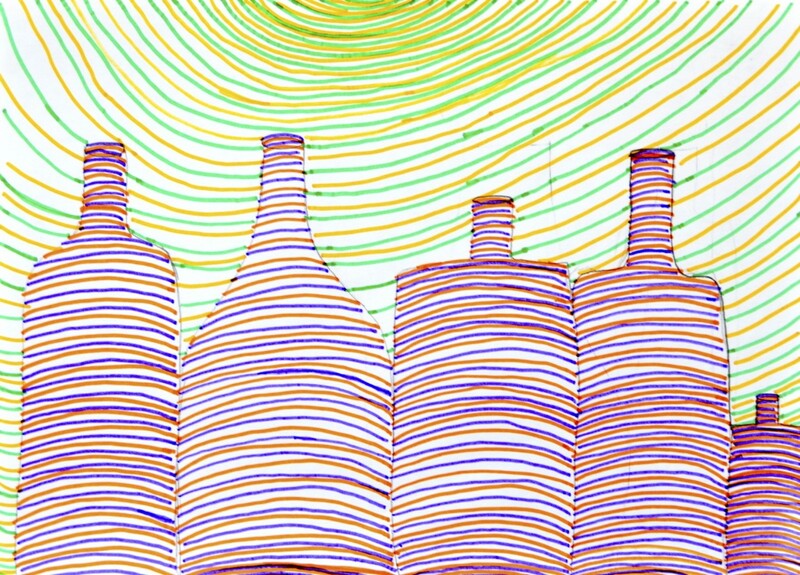 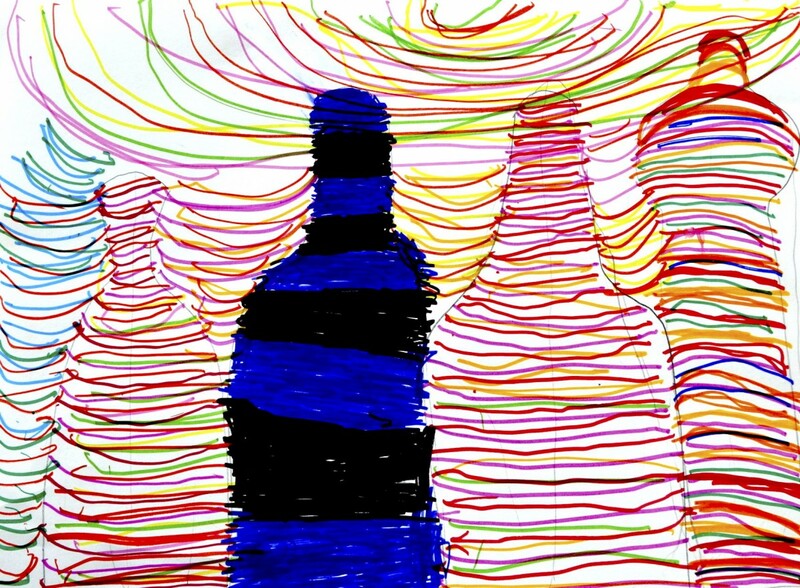 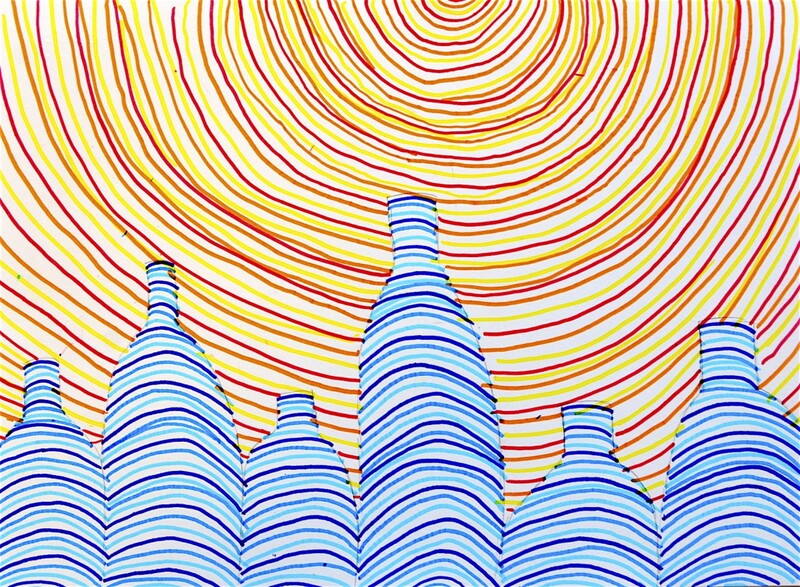 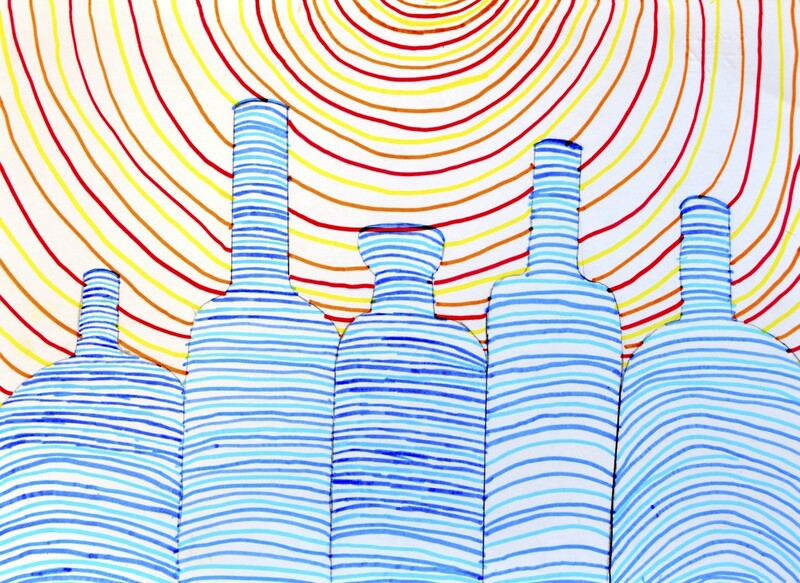 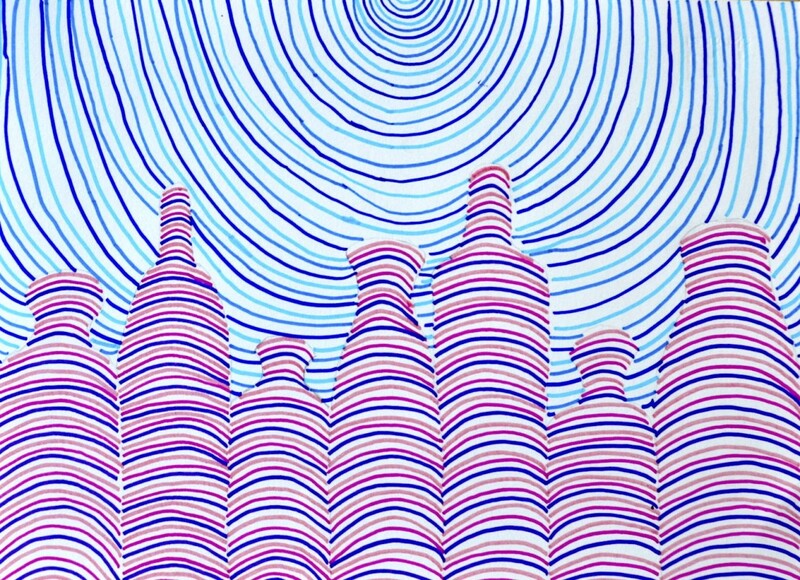 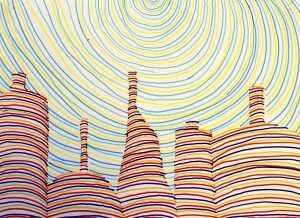 We draw a sequence of three or four colors repeating them on the whole bottle. 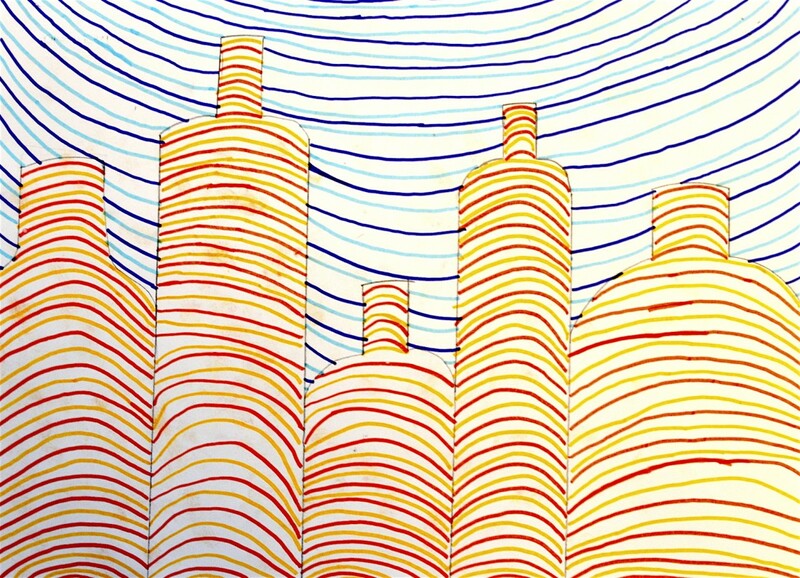 The lines must be close and parallel, with the same curve. 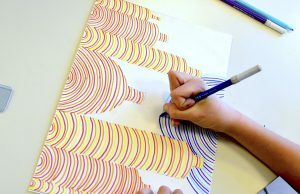 For the background we draw curved, parallel lines starting with a little arc from the middle of the drawing sheet. 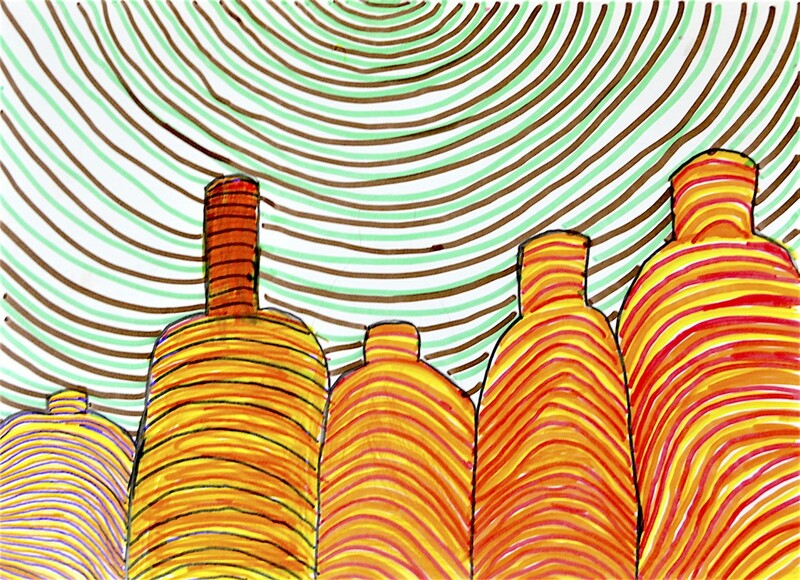 We choose a different sequence of colors to create more contrast between the bottles and the background. 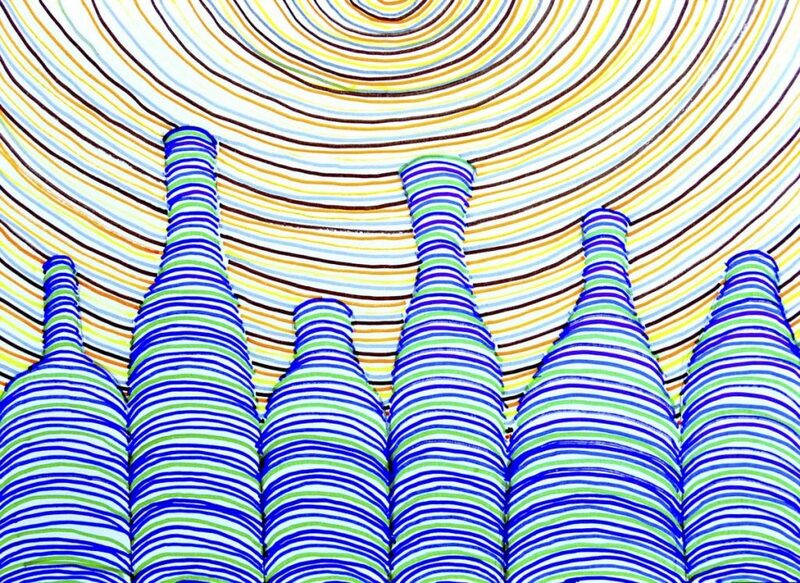 To see other works like this click here for three-dimensional snakes and here for a three-dimensional tree.